Are You My Mommy Now ? 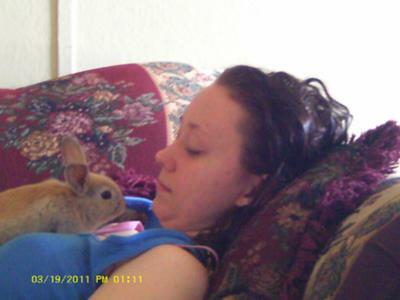 My daughter Tracy just got her rabbit today. And they where just getting to know each other when this was took, looks like it was love from the start !! Join in and write your own page! It's easy to do. How? Simply click here to return to Rabbit Photos Gallery.